VEXpro offers an assortment of gear types, chosen to provide the greatest versatility of gearing options to users. Our sizes were specifically chosen to provide a wide spread of ratio options useful for robot designers. Larger size VEXpro gears are available so designers can accomplish their entire reduction in a single stage where otherwise they would have used more than one! All VEXpro gears are 20 DP with 14.5 degree pressure angle, and have the same overall width -- this means it is easy to interchange VEXpro gears in your design to change a ratio without modifying the overall system; true versatility. 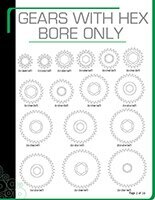 Note: Hex bore and/or Versakey patterns are not keyed to gear teeth. Can't tell a 40T gear from a 42T, but don't want to count the teeth? The VEXpro Gear Reference guide contains 1:1 outlines of all VEXpro gears for quick identification. 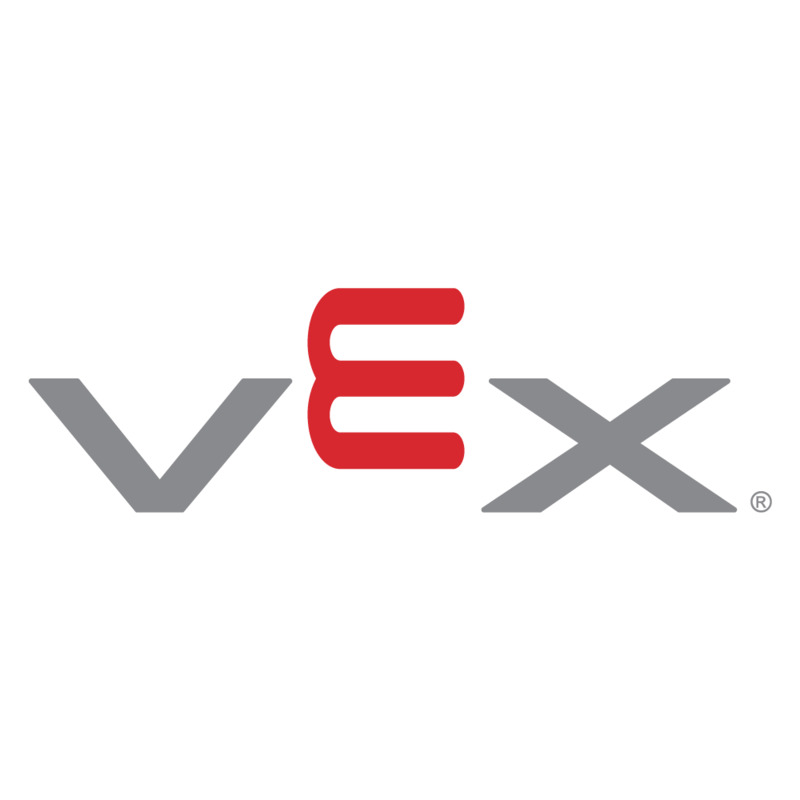 Click here to download the VEXpro Gear Reference Guide. Note: Calibrate your printer scaling by printing the first page and checking the 1" line in the bottom right. Gears 24T or smaller - 0.475"
Gears 30T or larger - 0.375"